RA Capacity 19,000 lbs Tank Capacity 100 gal. *Sales Restrictions Apply - Call! 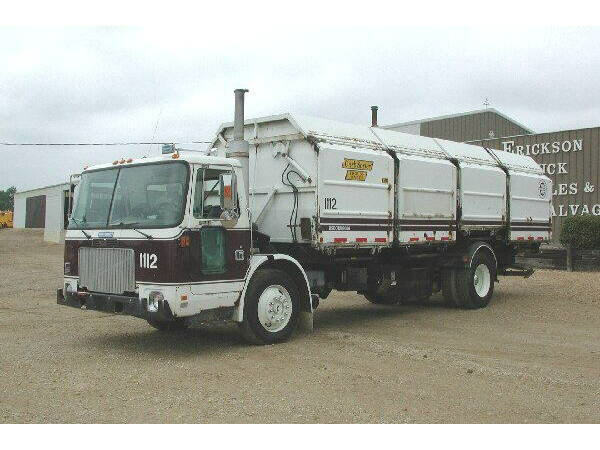 Single Axle Side Dump 4 Compt. Recycle Body Curb Sorter, Dual Steer, Air Ride Seats, Engine Retarder, (2) Hyd Stabilizers, Delivery Available.